The second book in an exciting new YA/crossover series about genetically engineered individuals with superhuman abilities.It's hard to remember hating anything as much as I hate Affinity; a bone-deep loathing for the faceless unknown and the concrete walls of my own DNA.Evie is a Shield: designed to kill in order to protect, and the Affinity Project have finally come for her. But Evie isn't ready for the sinister organisation to take control of her life, her body, her mind. She isn't ready to follow their rules about who can live and who must die – not when it condemns the innocent. She has one option: risk losing everything and everyone – including Jamie – and run. Start reading Stray on your Kindle in under a minute. Stray opens a short while after Spark ends. Evie has recovered from her injuries, and she and Kitty are heading to the school dance. Unfortunately, neither of them realise the effect that alcohol has on Evie's enhanced metabolism, and things get a little out of hand before Jamie needs to take her home. This opening injects some much needed lightness, and romance, into what quickly becomes an action packed thrill ride of a book. Evie has plans to free her newly found brother, but Affinity are not going to make it easy. Neither is Jamie, who is worried about the possible threat to Kitty. Evie will have to choose sides and risk those she loves most in order to uphold her principles. There are more surprises for Evie in this installment, as well as her fair share of heartbreak. Spark managed some surprising revelations and Stray continues in this vein, with twists and turns aplenty. There are some great new characters introduced in Stray, in particular The Proxy, who is a strange and chilling character. It really is best to read Stray in as few sittings as possible. My reading of it was quite disjointed, and because the action is quite fast paced at times, it took some effort on my part to get back into the story. So if you can devote a block of time to reading this all in one go, I would highly recommend it. Wow! I was left shell-shocked and breathless after reading this book. I loved Spark and expected Stray to be just as good, but WOW! Craw out did herself. This series, this book, is outstanding. It has everything - romance, mystery, excitement, twists and turns and thrills. There's nothing I don't like. Highly recommend! The second book in a feast of imagination. Bought the first book for my grandaughter and wanted to read it to check what it was about. Amazed at Rachel Craw's imagination and twists and turns of plot. Sexual attraction lurks large throughout but never actuality. Have not read other YA fantasy books to compare - perhaps I should. 5.0 out of 5 starsWrite Faster Rachael, I want to read Part three ASAP!! A great second installment! Can't wait for the next part. Get writing, Rachael! 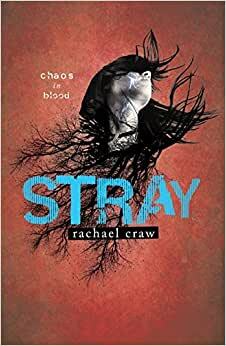 After anticipating the release of Stray for so long I was anxious to see if it would meet my rather high expectations. Truth is it doesn’t meet them – it exceeds them in every way possible. Spark ended with Evie starting a relationship with Jamie, neutralizing the threat against Kitty and generally being a bit of a bad-arse. So where does a story with such a strong beginning go from here? To a fancy dress party of course! Craw does a fantastic job at combining the futuristic DNA altered superhuman storyline with the real life Evie tries to maintain. For all her specialness, she is still a teenage girl with many of the same pressures and issues teens face. There’s family drama (although Evie’s family is anything but traditional), boyfriend problems and balancing her new life as a super protector with being a good friend. And there’s the fast paced action and adventure I loved from the first novel. Stray will keep you guessing just what will happen right up until the end. One of the things I like most about Stray (and this series in general) is the action and reactions. Evie is not someone who will just sit around when someone she cares about is in trouble. She will do what she thinks is necessary even if it’s dangerous and will land her in trouble. And what’s what I like – there are consequences. Some books you read and it seems that as long as the hero/heroine saves the day then all is forgotten. Not the case for Evie. Her actions all have a cost. After the events in Spark, Affinity are on the scene and Evie is forced to face up to her actions. I loved reading about the somewhat shady Affinity and how their organization works. Evie’s relationships evolve in Stray. She’s still coming to terms with the secret about her mother and how to deal with her identity. Other members of her family cause Evie much emotional turmoil and it is interesting to see just how Evie deals with it all. I love her interactions with Kitty. Despite everything that has changed in Evie’s life I like that Kitty remains strong as her BFF and encourages Evie to maintain a somewhat typical teenage existence. And then there’s Jamie. Okay, so I still have issues with his name but I have to admit I adore the boy. He’s a great match for Evie and not just because of their connection on a purely genetic level. Their relationship was a pleasure to read and not just because of the romance. There is romance but there’s also so much more. Their relationship hasn’t changed them as people nor has it fixed all which is wrong with their world. The fact that everything isn’t just sunshine and rainbows because they kissed adds to the realism in this book. I liked Spark but I absolutely LOVED Stray. This is a series which keeps getting better with each instalment. The characters evolve and the plot gets more exciting with each chapter. After reading this book I can say I’m definitely a lifelong Rachael Craw fan and I can’t wait for the release of Shield (Spark #3).